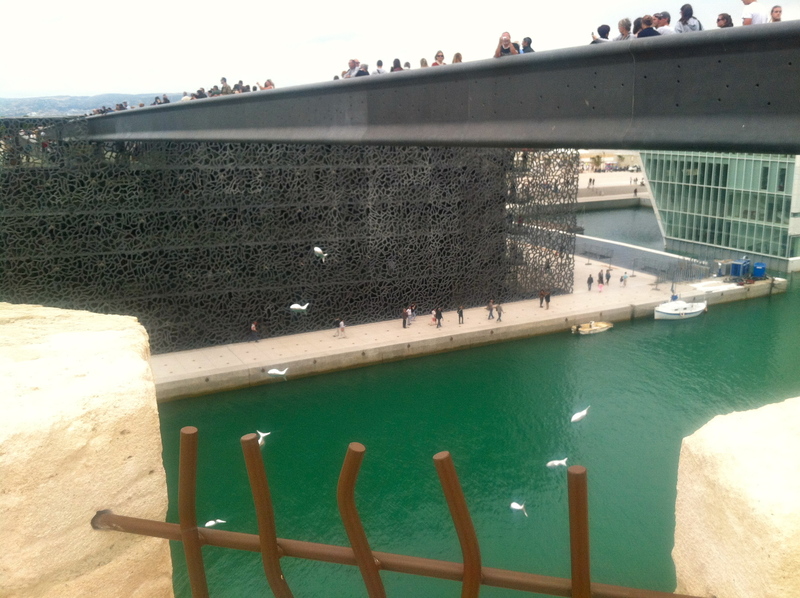 Marseille now has MUCEM, a new option for learning about the past, understanding the present, and perhaps envisioning the future of this jewel city by the sea. MUCEM, the initials in French for Museum of European and Mediterranean Civilizations, stands out strong and artistic. From far away, it looks like a box, but seeing it closer, the outside design displays more than square lines. It is decorated with curves and swirls made of metal, open to the air and to the ocean. To get there, I had to go through Fort St. Jean, a witness to history, and an architectural structure of outstanding beauty. You cross one bridge then another, you go through stairs, and it is all part of the adventure! Following the trend of interactive museums, MUCEM offers a lot more than a bunch of images and artifacts to see or take pictures of. 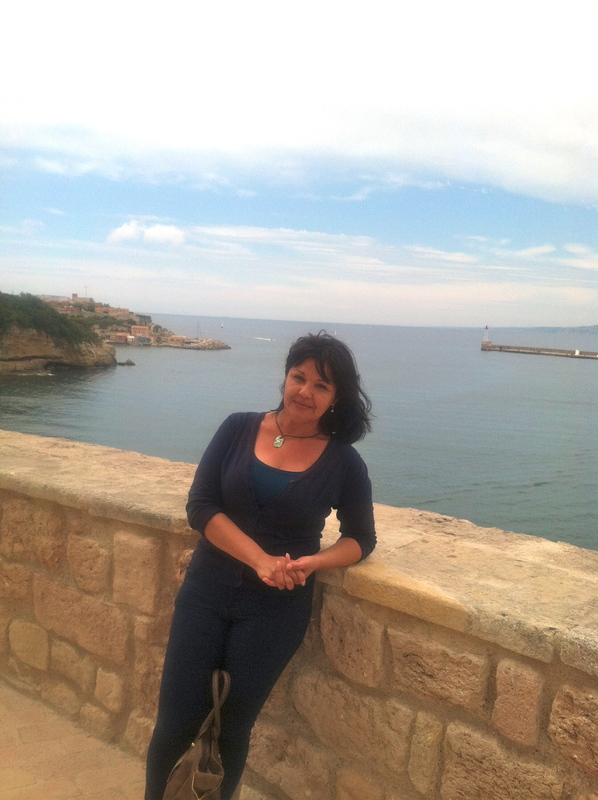 It has a strategy to guide you to experience and feel the many flavors of Marseille. With the permanent exhibitions, you get an overall idea of the multicultural city. The first two temporary exhibits, in three languages, speak of dark and enlightening moments amongst cultural groups, and of gender, love, and sexual orientation. 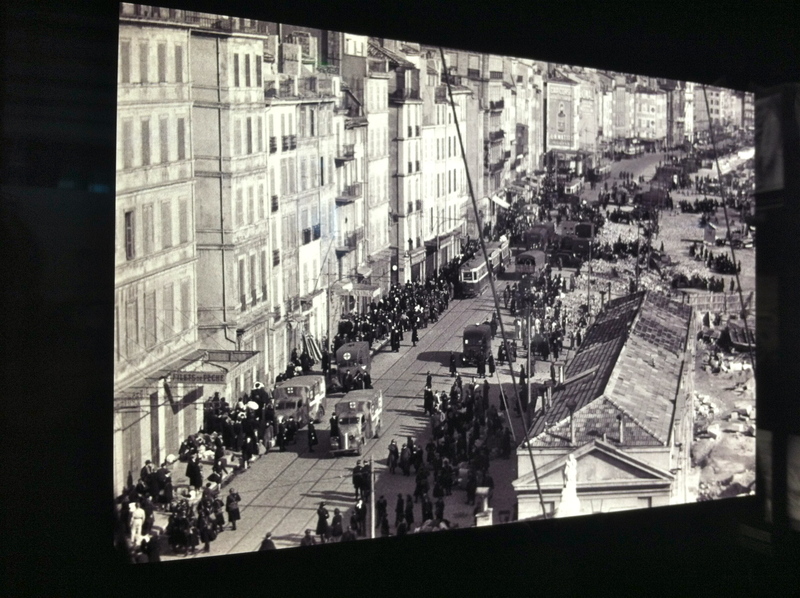 “Le Noir et Le Blue,” is one of them and it will stay until January 2014, portraying pieces of history and interactions between Marseille, Istanbul, Barcelona, the whole of France and Algeria, the influence of the Ottoman Empire, and the establishment of Nazi Germany in this coastal land. The themes: Immigrants, dictators, conquistadors, and the inevitably mixing of people and cultures. “Au bazar du genre, Féminin – Masculin en Méditerranée” is the other temporary exhibit. This is about gender and equality. 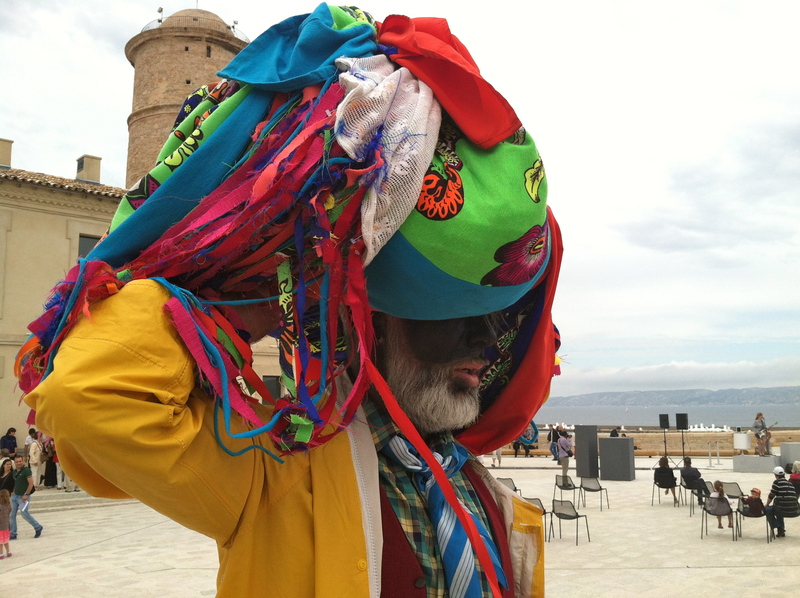 MUCEM puts on the table, sort of speak, the way that being a woman or gay or lesbian –and being a man, for the same matter, is perceived in contrasting cultures and religions that merge in this part of the world. 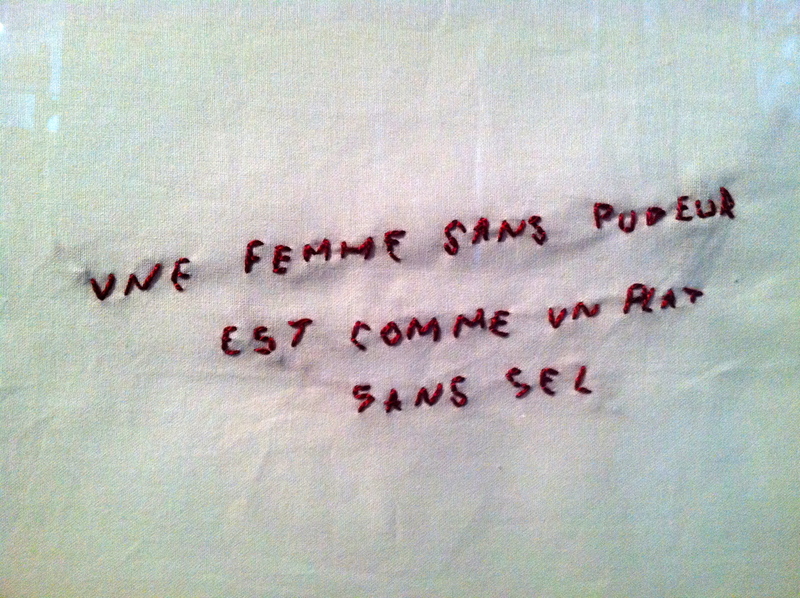 Une femme sans pudeur est comme un plat sans sel. Una mujer sin pudor es como un plato sin sal. A woman without modesty is like food without salt. You’ll see this and many other phrases questioning virginity, the veil, and the role of women. Views in support of gay marriage are obvious and well documented. One video captured my attention. 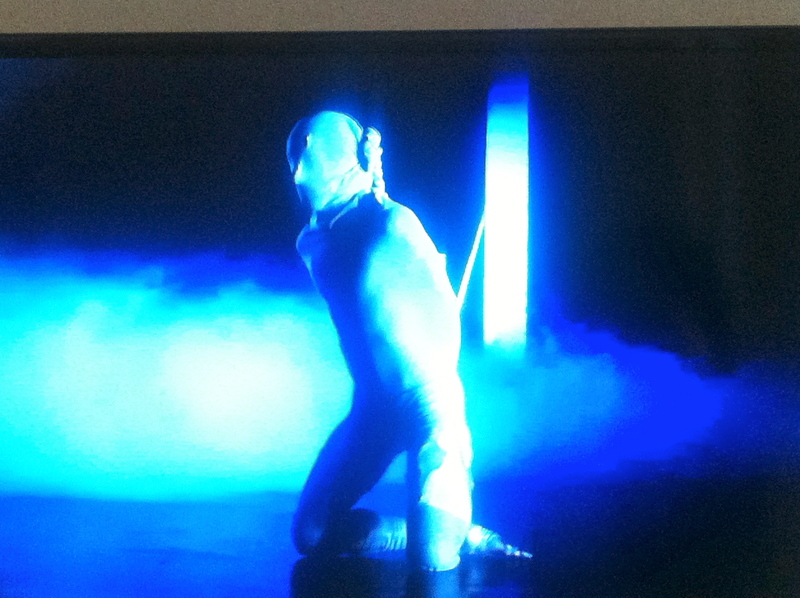 The one about a gay man from Lebanon who was abused, ridiculed and attacked, but who know uses the pain it endured to bring a message through dance, art and movement. But, there are other videos, messages, and images that do get the attention of many, as they basically speak of the need for every human being to be accepted and loved. I could keep going on about MUCEM, but I do not want to spoil it for you. The permanent exhibits both present you with history and show you thought provoking pieces of it. Go there and take your time. See the exhibits, take a break, bring a book as you can find places to sit, read, have a drink, and look at marvelous views of Marseille and the Mediterranée while you process your experience. 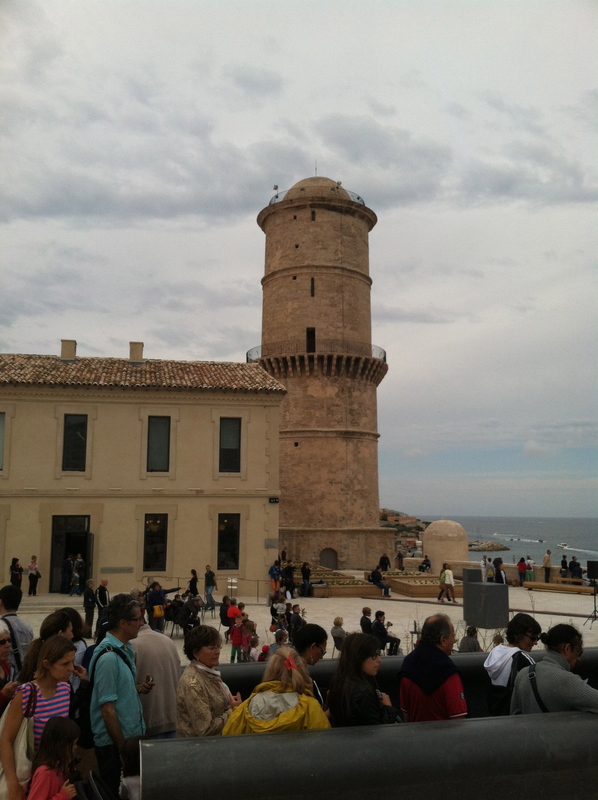 MUCEM is a box of experiences and so Marseille these days! This article was written by Lupita Peimbert. All pictures taken with an iphone by LP. All rights reserved. Lupita is a former news reporter based in San Francisco, California. She writes and blogs about immigration, travel, and women’s issues. You may share this article but we ask you to please give proper credit and if possible, let us know. Previous Have you been to Marseille lately? Next Culture is all that we create.